RRC Another huge recruitment by Indian Railway, RRC Group D 2019 for 103769 vacancies has been Released. 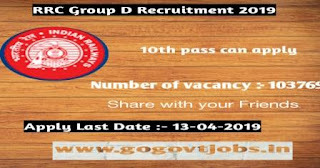 The RRC Group D application form 2019 has released today, on march 12 2019 and all the candidates who have qualified class 10th or ITI can apply for it. 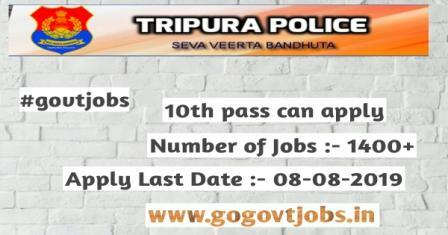 The Tripura Police Department has released notification for the recruitment of Riflemen (General Duty and Tradesman ) jobs for Male and Female candidates. 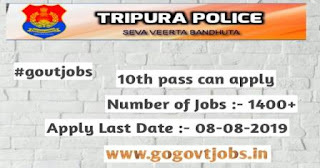 Those how are Eligible candidates for this Police recruitment can apply before 08-June-2019. Maharashtra introduce an official notification in which they said that they are going to recruit the vacant jobs profiles of Livestock Supervisors and parichar jobs under various pay scale. The official notification department said that there are total 700+ jobs Positions for these job Profiles which are going to be filled up through this Government of Maharashtra Recruitment Process. Qualification:- Degree in Electrical Engineer or Degree in mechanical Engineer Or Diploma in Electrical Engineer or Diploma in Mechanical Engineer. Qualification:- Graduate Degree in any discipline from a recognized University with Proficiency in use of computers. Degree from recognized university with Hindi as the main subject. 01 year experience off translation from English to Hindi and Versa. Degree in Computer Application with speed of 40 w p m and 80 w p m in typing and shorthand respectively. SC/ST/Ex service man/PWBD candidates are exempted from payment of fee. 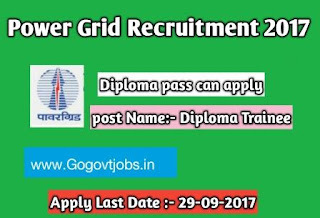 Power Grid Corporation of India Limited, Karnataka has released the notification for Recruitment of Diploma Trainee and Assistant Jobs. Eligible candidates can apply online till 29-09-2017. The Power Grid Corporation of India Limited is an India State owned electric utilities company headquartered in Gurugram, India. Power Grid transmits about 50% of the toral power generated in India on its transmission network. Qualification:- Candidates must have B.Com degree. with 70 % marks. General candidates have to pay Rs 300-(for diploma trainee) and Rs 200 (for assistant ) through online mode. 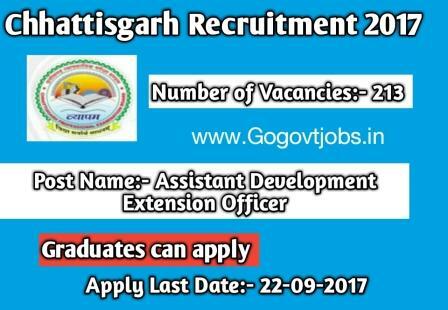 Chhattisgarh Professional Examination Board (CGVYAM), Chhattisgarh has released the notification for recruitment for Assistant Development Extension Officer jobs. 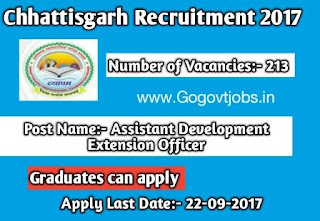 Eligible candidates can apply online till 22-September-2017. Qualification :- Graduation from recognized university. Candidates should be proficient in Hindi speaking & writing. Rs 200/- for Sc/St/PH candidates through online mode only. Total Number of jobs may Increase of decrease. 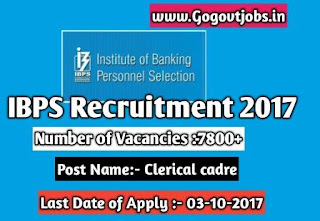 Institute of Banking Personnel Selection (IBPS) has released the notification for recruitment of clerical Cadre (CWE Clerks-VII) through Common Recruitment Process. 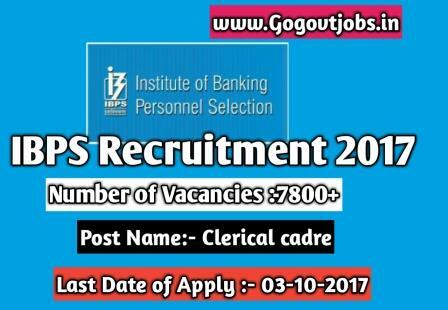 Eligible candidates who want to apply for Banking Jobs can apply till 03-10-2017. It also provides standardized systems for assessment and result processing services to organizations. Qualification :- Candidates must have Graduation in any discipline. Candidates have to pay RS 600/- and SC/ST/PWD/EXSM candidates have to pay Rs 100/- through online mode. Committee decision regarding selection will be final. Candidates will be posted to any of the mentioned bank. Age relaxation will gives as per the rules. 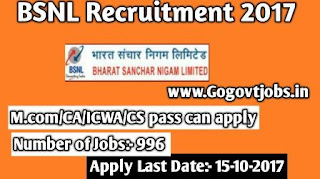 Bharat Sanchar Nigam Limited has released the notification for recruitment of Junior Accounts Officer Jobs. The recruitment is on direct basic. 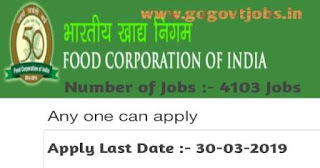 Eligible candidates can apply this Govt jobs online till 15-10-2017. 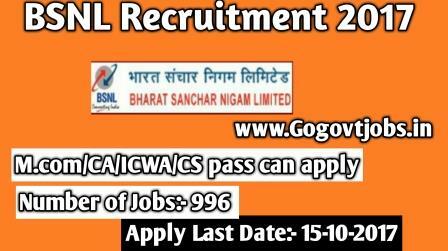 Bharat Sanchar Nigam Limited (abbreviated BSNL) is Indian State -owned telecommunication company. It was incorporated on 15 September 2000 and assumed the business of providing telecom service and network Management from the erstwhile Central Government Department of Telecom Services (DTS) and Telecom operations. Qualification :- Candidates must have M.com/CA/ICWA/CS degree. Sc/ST candidates have to pay Rs 500/- through online mode.